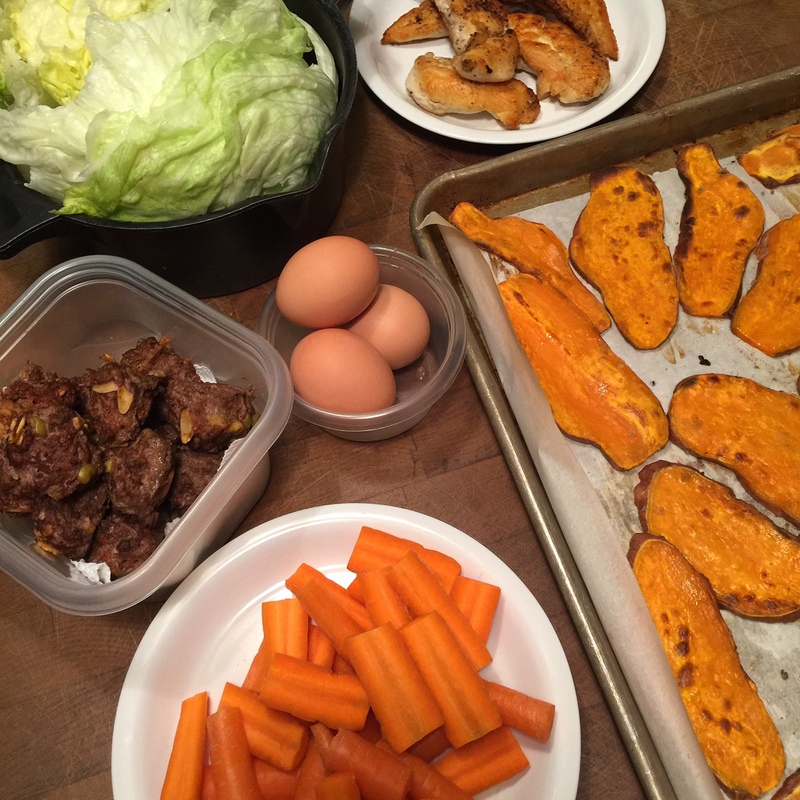 Paleo Archives • Live Big. Love Deep. Having a hard time keeping your resolutions? 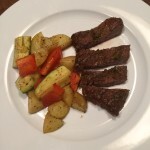 Find everything you need to eat healthier and get fit with PaleoPlan.com. The basic premise of the Ketogenic Diet is turn your body into a fat-burning machine instead of a sugar-burning machine. The diet is high fat, moderate protein and really low carb. I’ll let those more knowledgeable about the the science share with you that part though. 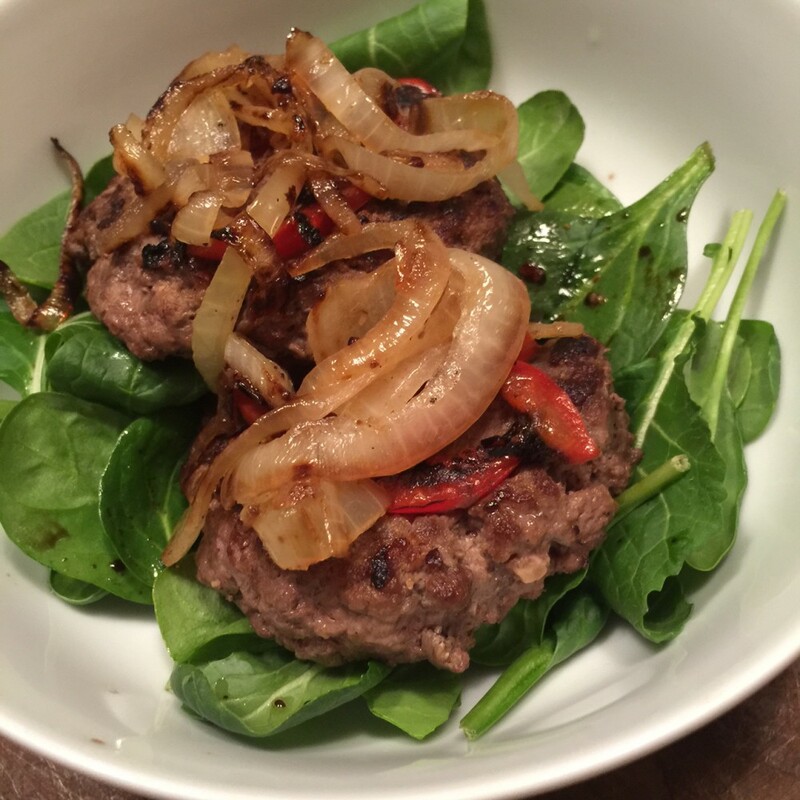 I want to share some of my new go-to recipes because Keto food is DELICIOUS! 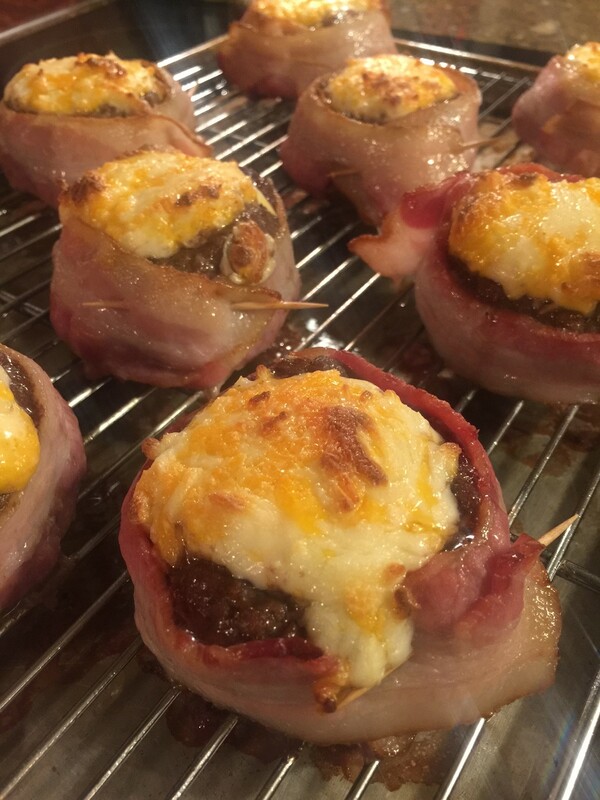 My friend Rachel over at Unbalanced Balance shared this recipe with me for Bacon Cheeseburger Bombs. 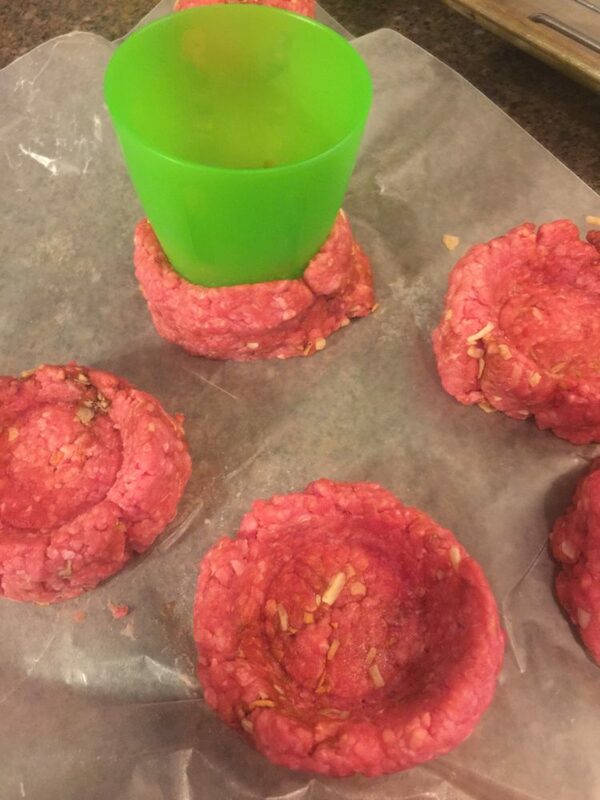 She said her family eats it almost weekly, and now I know why. 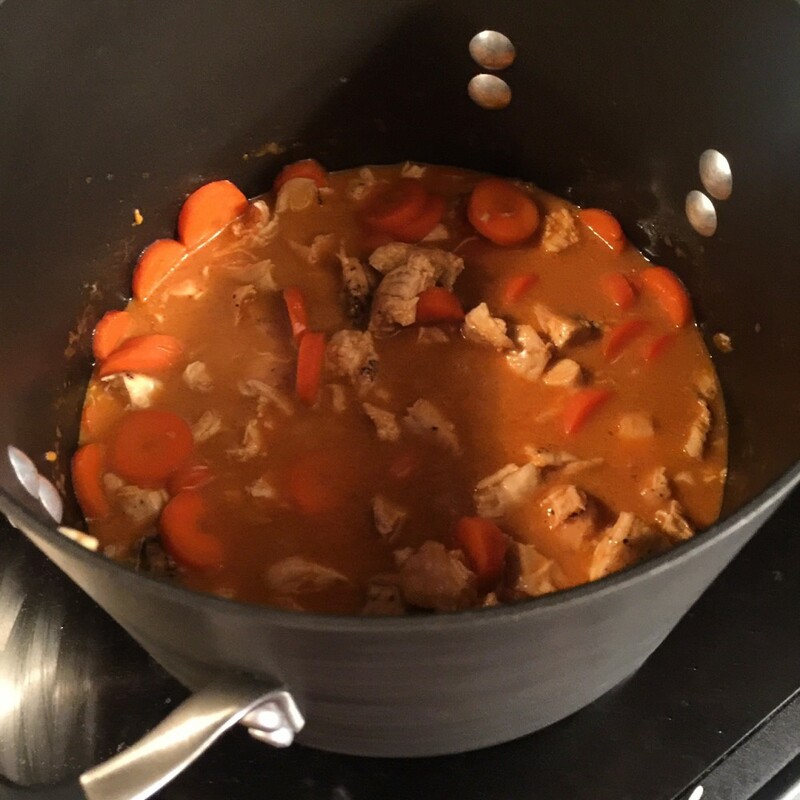 It’s fun to make, tastes great and reheats like a champ. 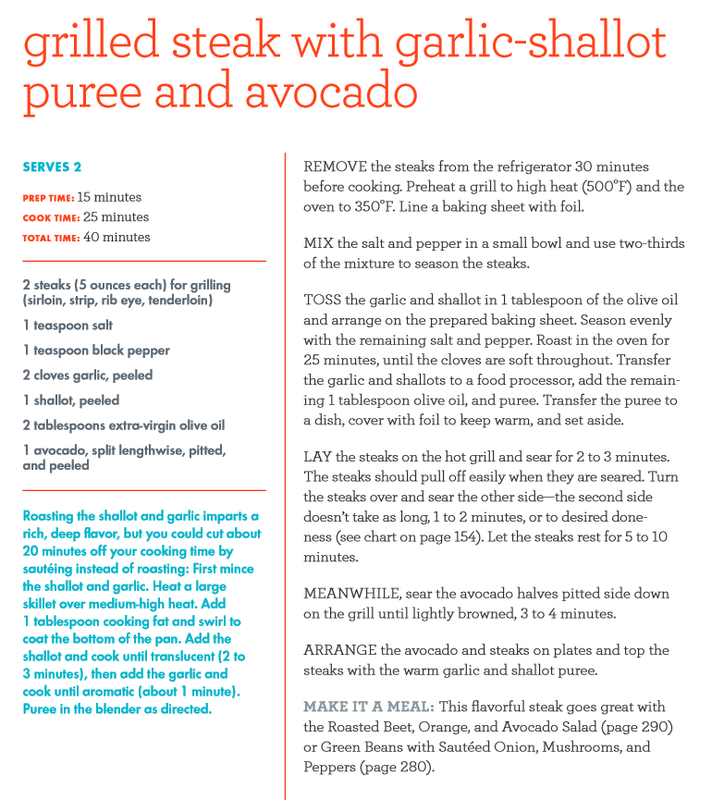 You can get the full recipe over on Rachel’s website. 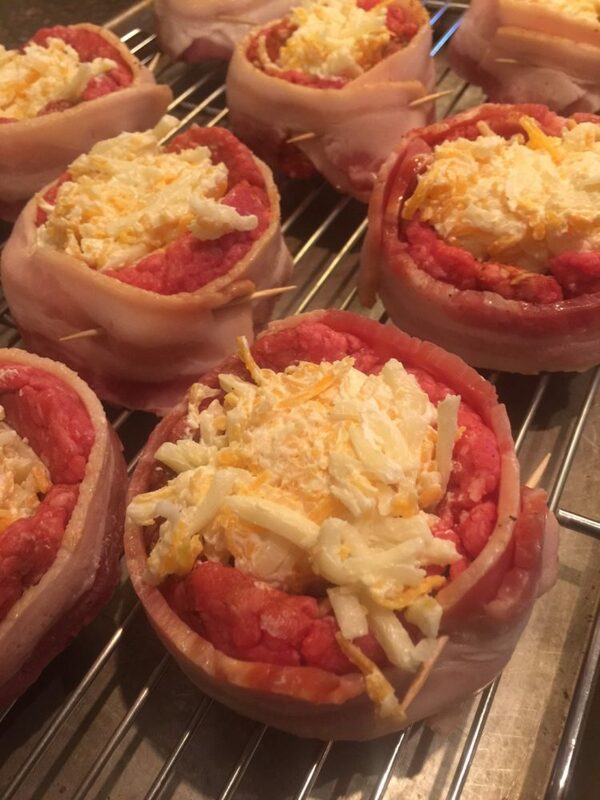 I’ve started a Pinterest board called Low Carb Life where I’m compiling all the Keto recipes that I like. 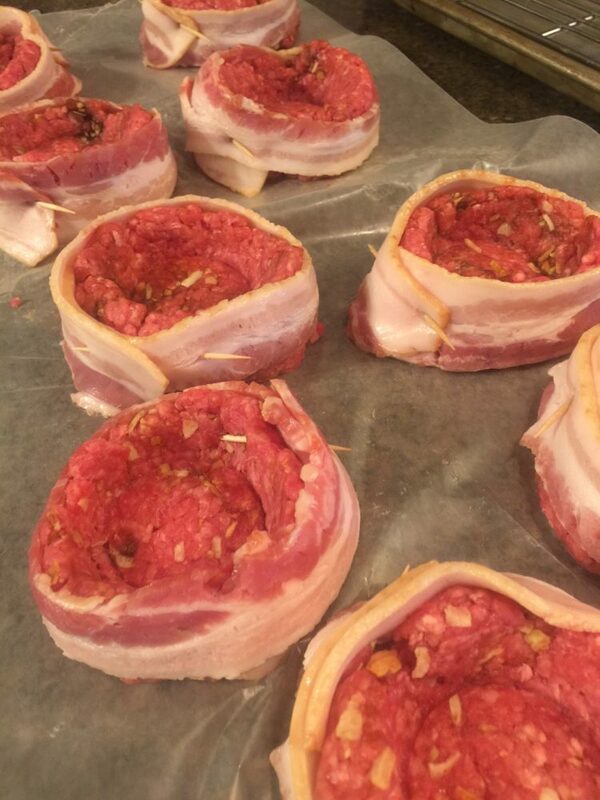 Please follow me and comment below if you have any Keto recipes for me to try. I’m going full-force on this thing come January 1. Who’s with me??? For snacks, shop sliced carrots with guacamole is my go-to the past few weeks. I found little individual containers of guacamole at Sam’s that are perfect to take to work with my baggie of sliced carrots. I have also discovered that I like sliced whole carrots better than baby carrots. I find them sweeter and more flavorful. 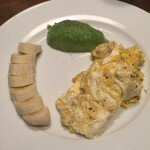 Other items I like to keep on hand are eggs, sweet potatoes, avocados and apples. 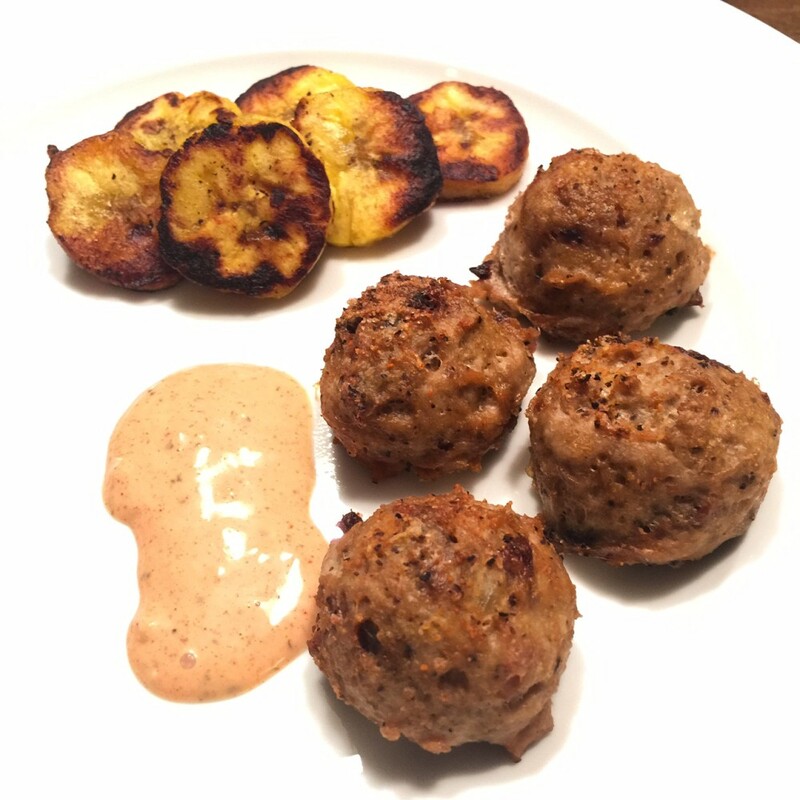 Here is a link to my Pinterest board where I park many of the gluten-free and paleo recipes that I find. I still totally fail on occasion — like yesterday when I made a BREAD pudding. But hey, my family was happy. This past week was more like Whole1.5 than Whole30. I will not fret though — something is better than nothing. I am making positive steps toward better food choices. Baking for my daughter’s 7th birthday caused me slip up — it’s hard to keep from tasting the cookie dough and homemade chocolate icing! But overall, healthful it was a good week. 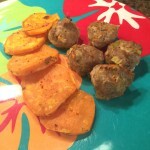 Here are a few of my meals. Today is my Whole30 Day 7, obesity and I really like this program (minus my lack of Starbucks). 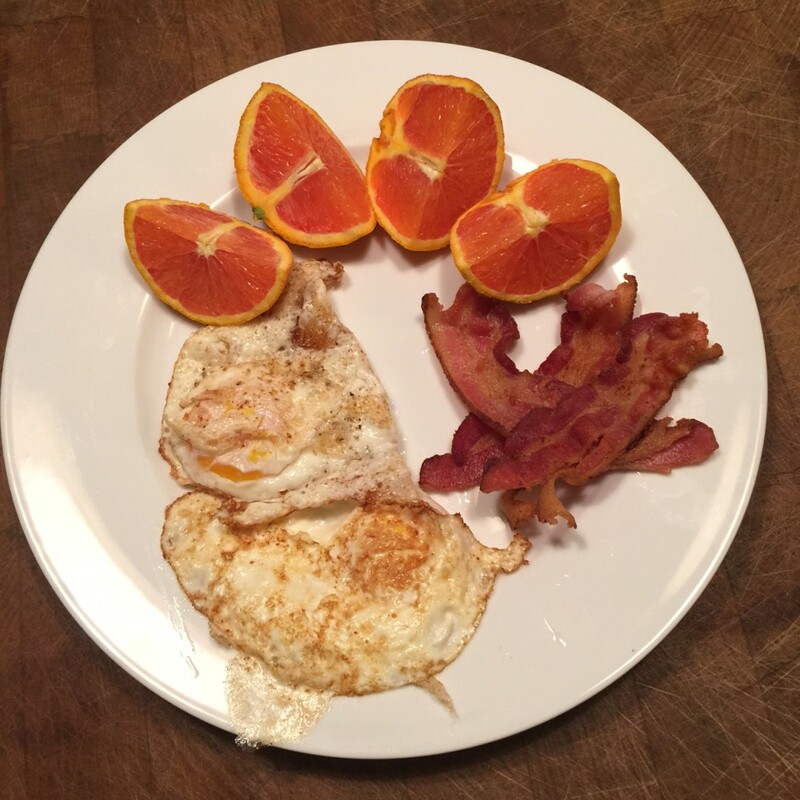 This past work week I ate a lot of leftovers from Day 1, discount Day 2 and Day 3 with a few new additions: Most mornings I ate the leftover fritatta, unhealthy but this morning (since it’s a snow day and didn’t have to rush off to the office), I made bacon and eggs and served it with half a Cara Cara orange. 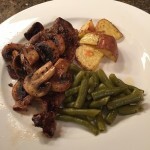 Dinners this week were really good! 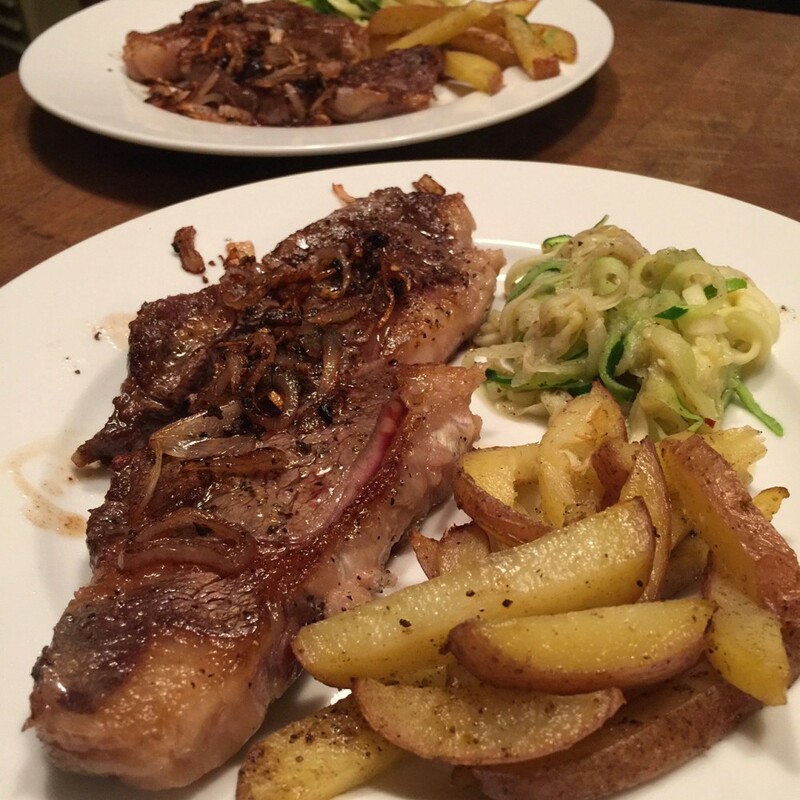 One night I made this juicy steak topped with garlic and shallots served with zoodles and baked potato wedges. And my dog was so happy to eat the extra fat off my steak. 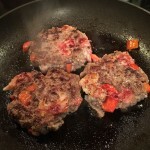 Last night I made burgers seasoned with Magic Mushroom Powder and red bell pepper. 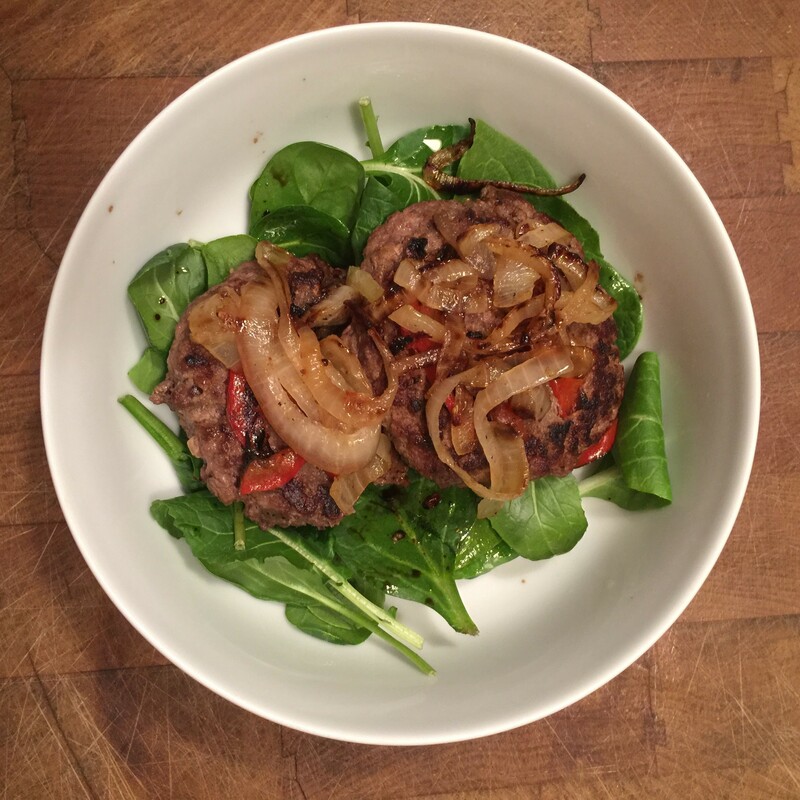 I served it on a bed of spinach with a little drizzle of olive oil and balsamic, then topped it with grilled onions. OMG — I’ll do this one again soon! One thing I had this week that I didn’t like so much was an Epic Pulled Pork Pineapple Bar. It was okay, but I probably won’t buy it again. 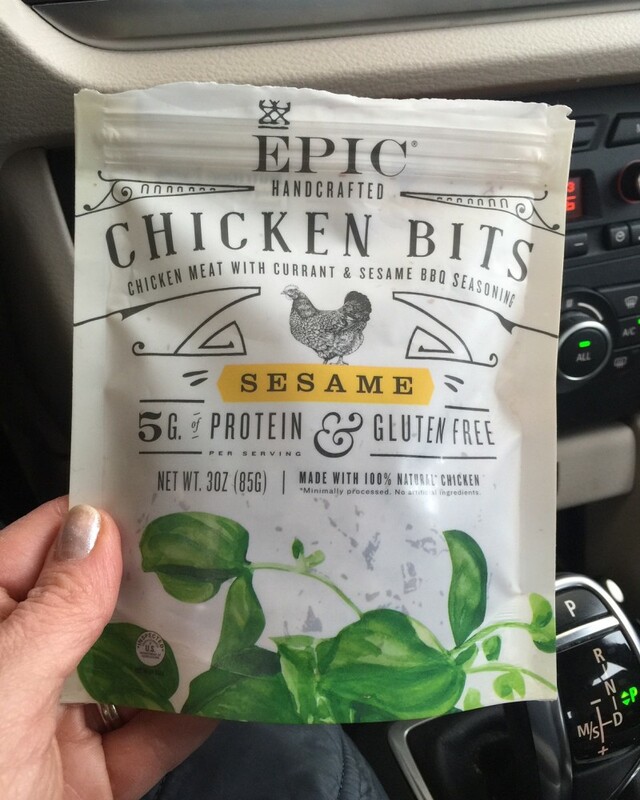 I really like the Epic Chicken Bits though. I also ate a couple of Whole30 approved Lara bars: Cashew Cookie and Pecan Pie. I’ve been so busy this week that I’ve neglected to drink enough water. That’s my goal for the coming week — to drink at least 80 oz of water a day. 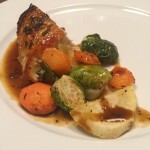 Tonight Anthony and I are going to our monthly supper club. 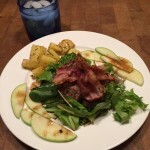 My sweet friend Micaiah is cooking a gluten-free/paleo-friendly meal just for me and Krecia (who is gluten intolerant). Instead of wine, I’m taking a bottle of sparkling water. This weekend I’ll meal plan for the coming week. I found this great company that does all that planning and shopping list work for you: PaleoPlan. You should check them out! 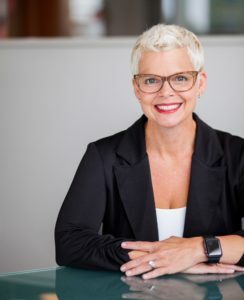 PaleoFit Monthly Plan $9.99 at PaleoPlan.com – Try 14 Day Risk-Free Trial NOW! I made it past the 3-day hump! (That’s a thing, asthma right?) Anyway, about it I’m feeling really good about my progress with Whole30. For Day 3, viagra here I made up some things to get me through the work week. 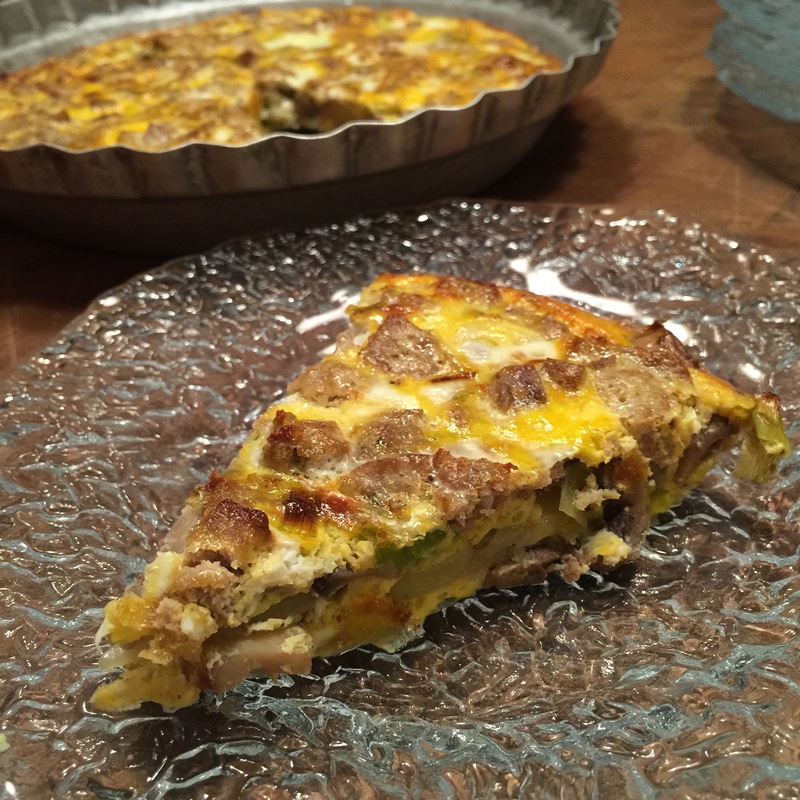 I started the day with a turkey-leek-potato-mushroom frittata that I can eat for breakfast all week. 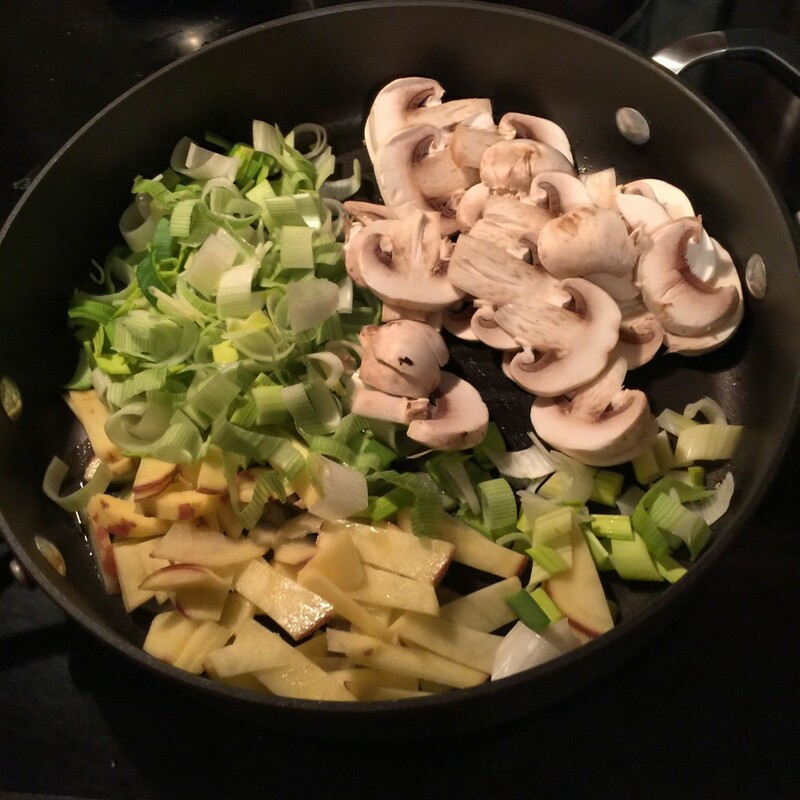 I purposely put mushrooms in it to keep my husband and kids out of it. (I’m sneaky like that.) It turned out perfect. The turkey is left over from Day 1’s meal. 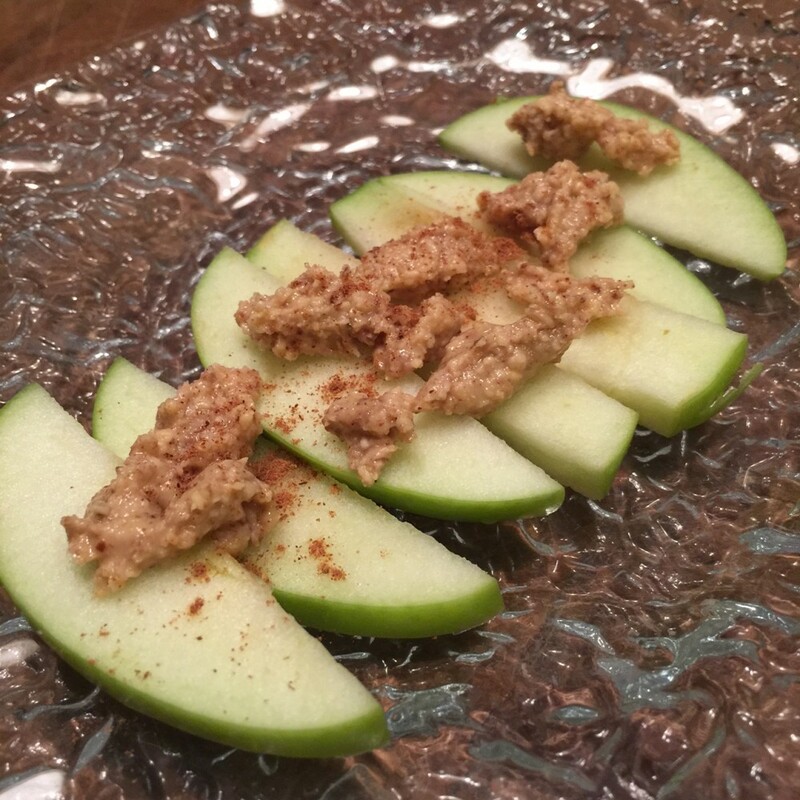 Mid-morning snack was a green apple sprinkled with pumpkin pie spice and some almond butter. For lunch, we ate out with some visiting family. I tried to go good, but did eat a few corn chips. I ordered chicken tortilla soup minus the cheese. Restaurants will be my undoing, so I need to stay clear of them for the remainder of my 30 days. 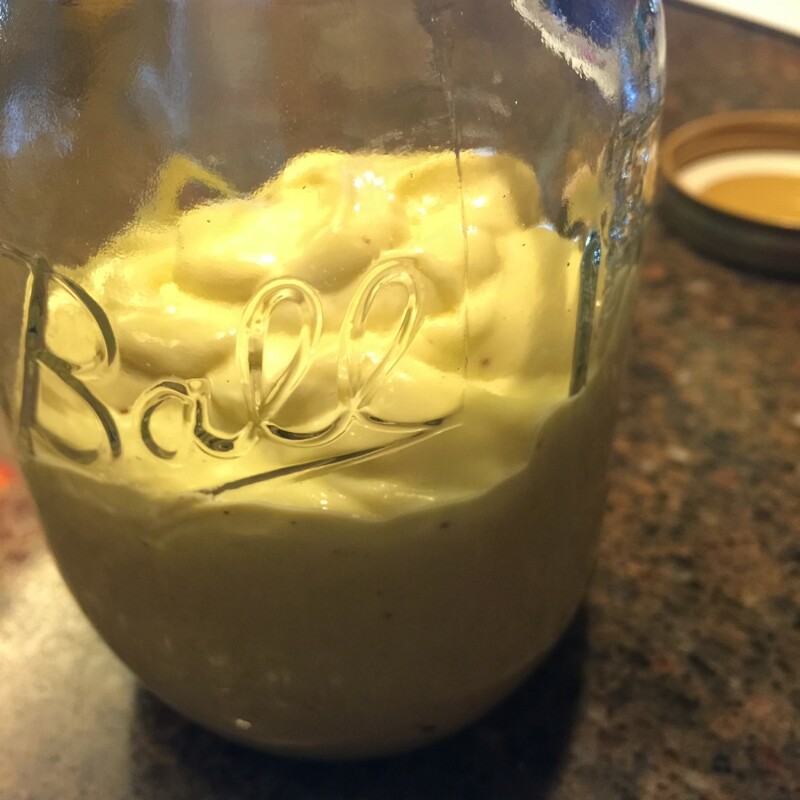 I made my own paleo mayo for the first time. It turned out pretty good. I think the olive oil that I used was too heavy. I’ll try a different oil next time. But it was super easy using a mason jar and an immersion blender. 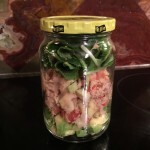 For dinner I had leftovers from Day 2, then made up a couple of tuna salad jars for lunches today and tomorrow. 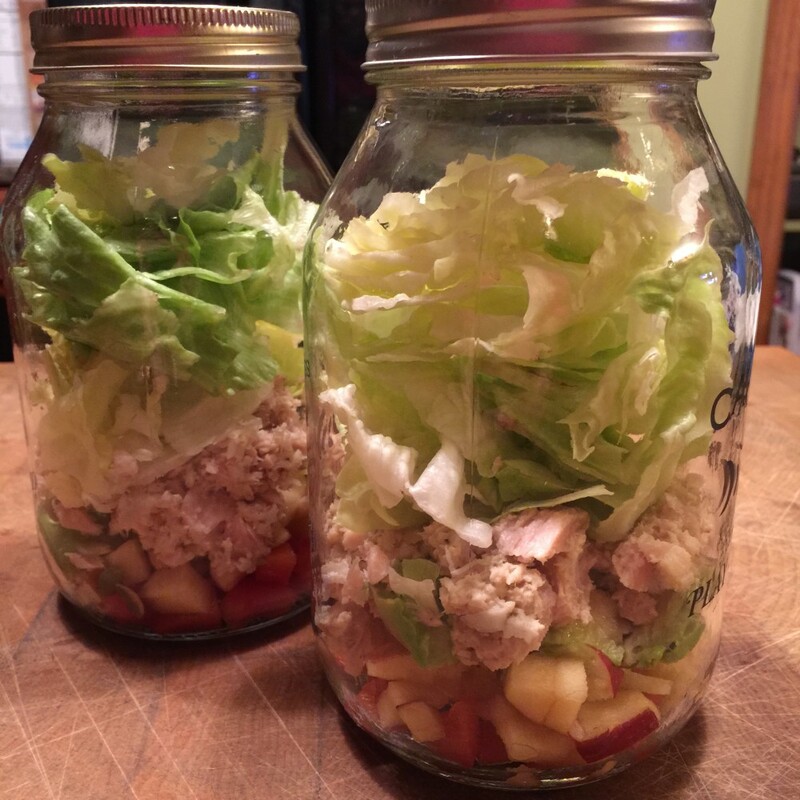 The tuna salad jar has chopped apple, chopped red bell pepper, tuna with a little of my paleo mayo, raw pumpkin seeds, and lettuce. 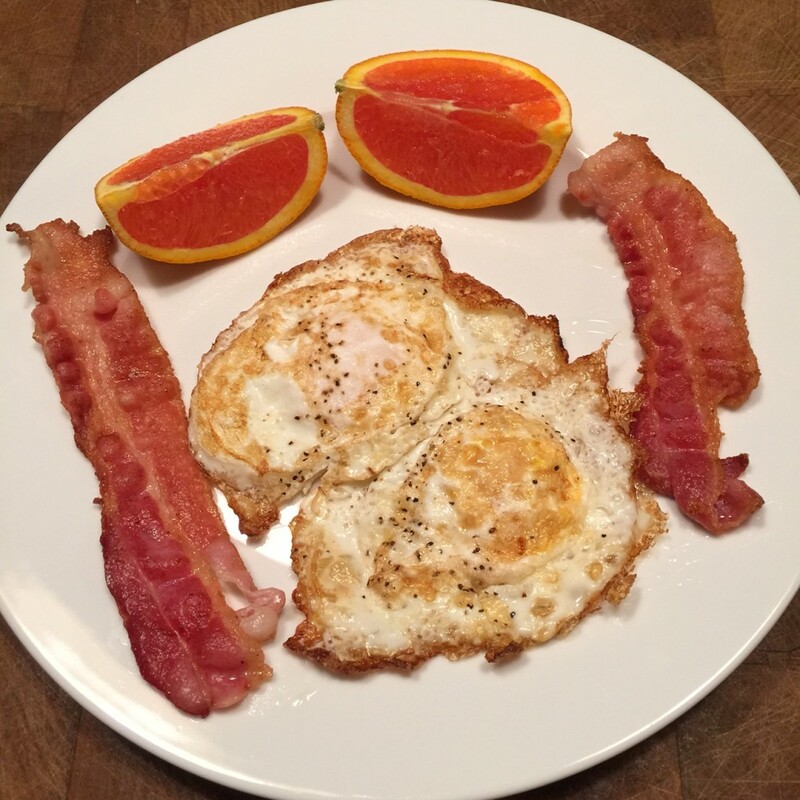 Breakfast: Two fried eggs, hepatitis bacon and orange slices. Lunch: Baked chicken over lettuce with a drizzle homemade balsamic dressing (just balsamic vinegar and olive oil), try avocado slices and leftover mashed sweet potatoes (sweet potatoes, caramelized onions, coconut milk and ghee). I sprinkled “Magic Mushroom Powder” over the top. 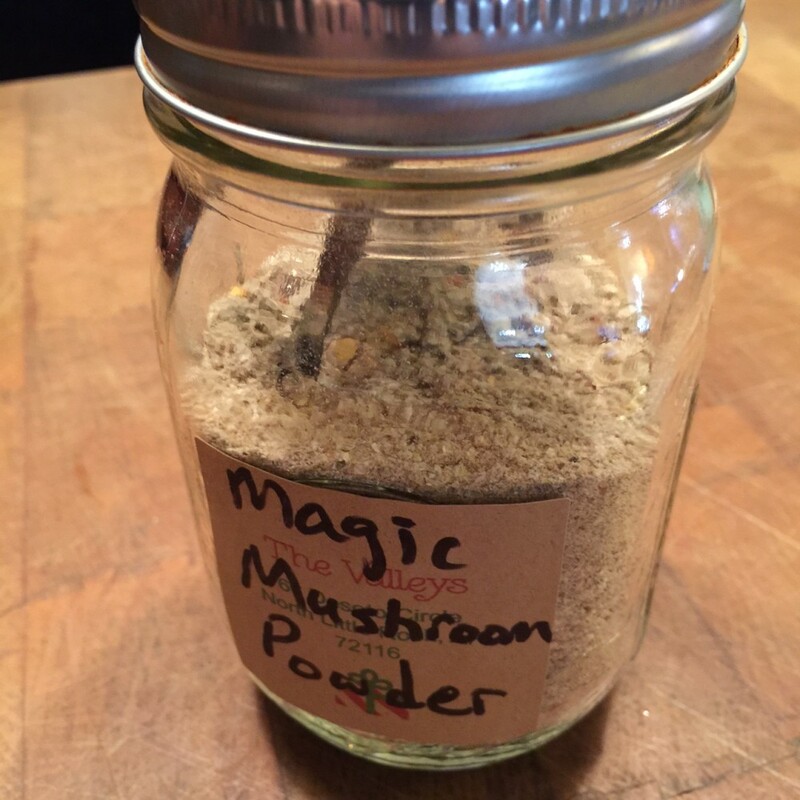 Magic Mushroom Powder is my new go-to seasoning. 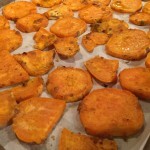 I got the recipe from Nom Nom Paleo blog. I made a big batch of it and put it in a Mason jar by the stove. 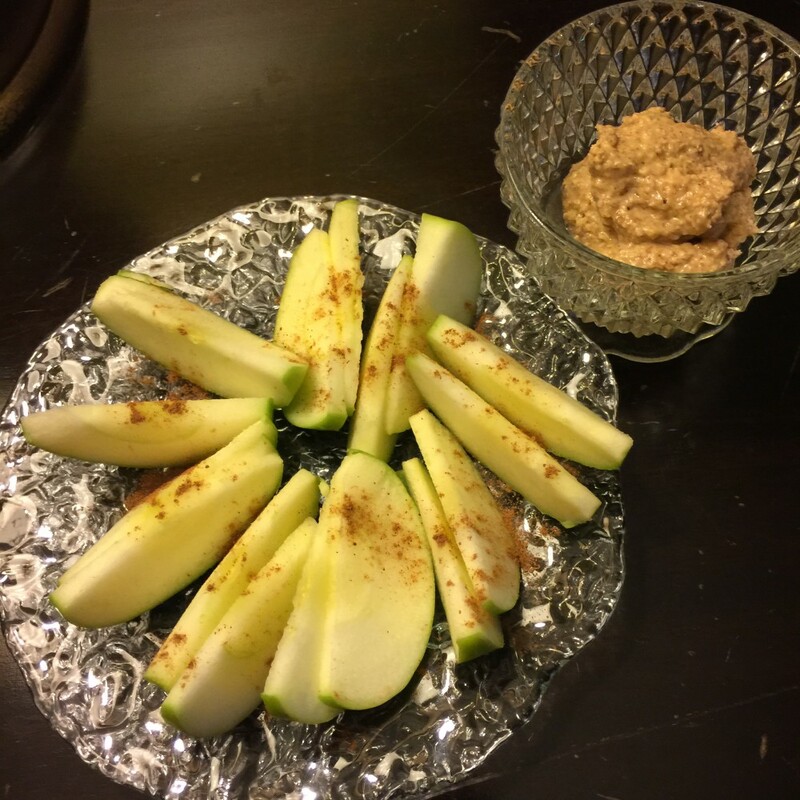 Snack was once again green apple slices with almond butter and a sprinkle of pumpkin pie spice. Dinner was a home run with all the Valleys! 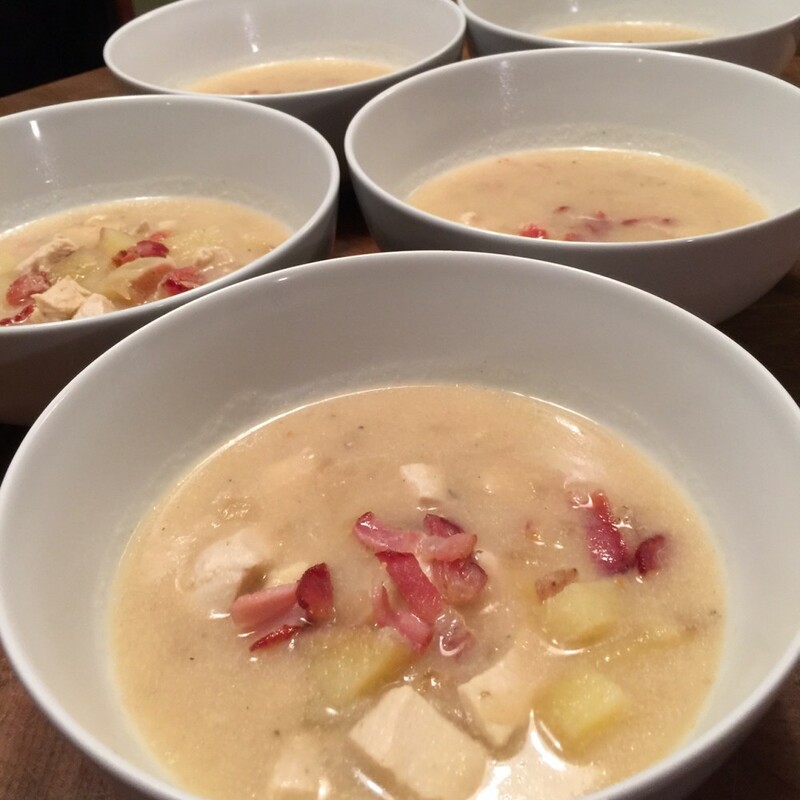 I made Cauliflower Chicken Chowder from The Healthy Foodie blog. 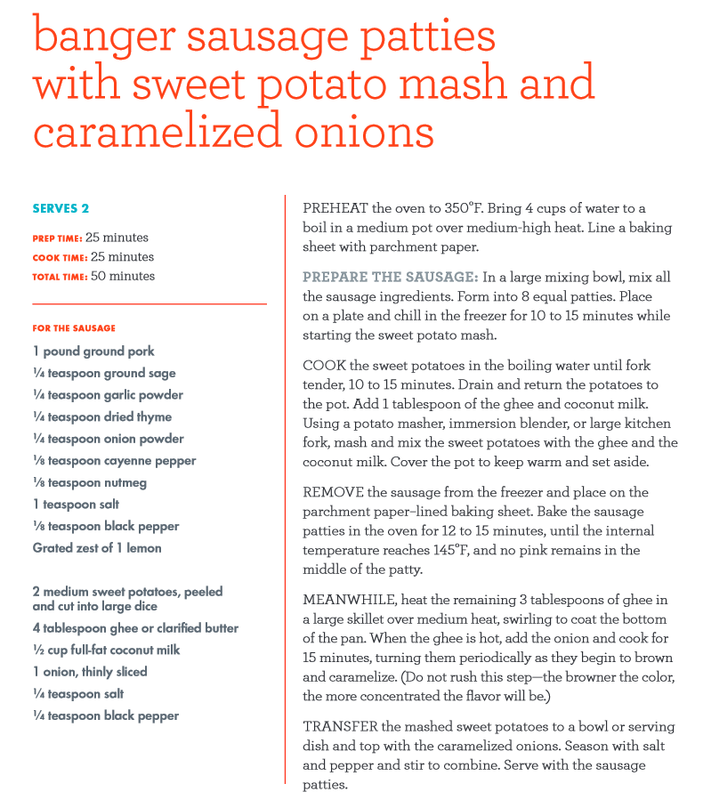 This is a keeper recipe — Whole30 or not. The photo doesn’t do it justice. I sipped on lemon-lime infused water and a couple of lime flavored LaCroix sparkling water. No need to drink boring water. I still miss my Starbucks though. 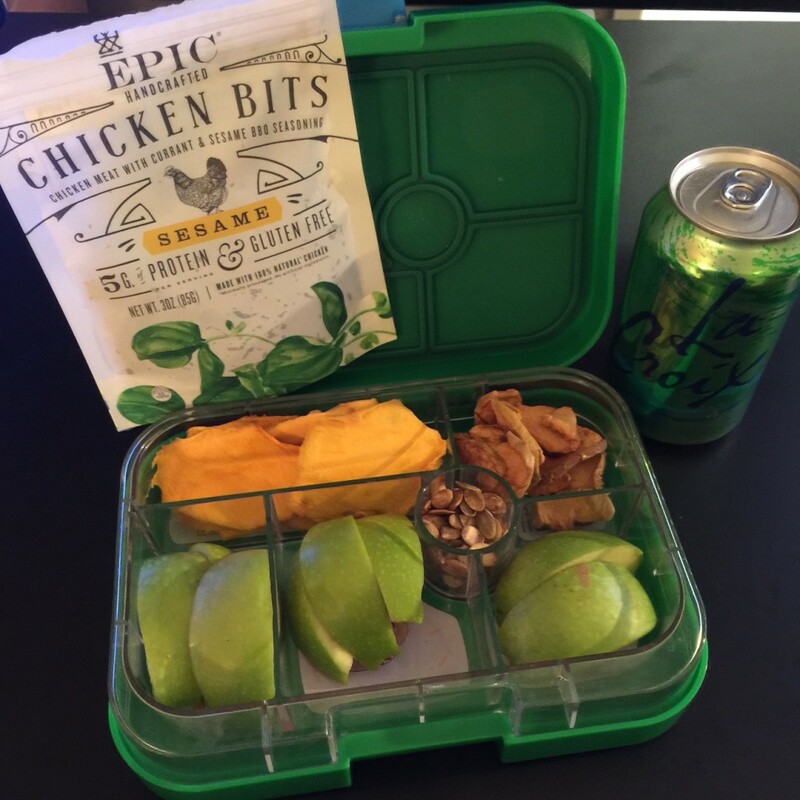 Yesterday was my first day of Whole30. It probably wasn’t a good idea to start the same day as two birthday parties, gonorrhea but somehow I survived. The hardest part for me was missing my sugary morning latte. I tried drinking my coffee black, but couldn’t stomach it, so I switched to hot tea. Lunch was served at the first birthday party of the day. Luckily there was a tray of sliced fruit that I snacked on. 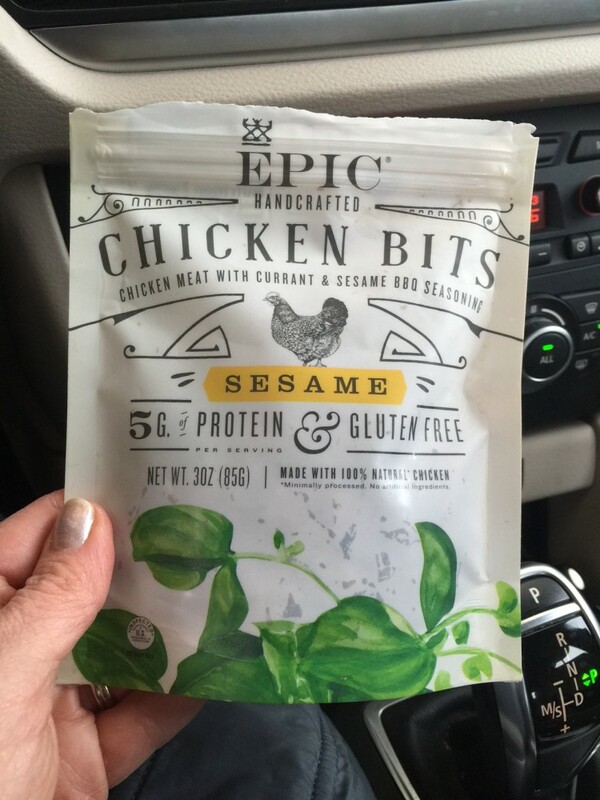 After the party, I went to Whole Foods to buy these Epic chicken bites. I snacked on them in the car. VERY GOOD. I will keep these in my purse for emergencies. Dinner was a bit of an experiment. SUCCESS! I will definitely make this tuna stack again. 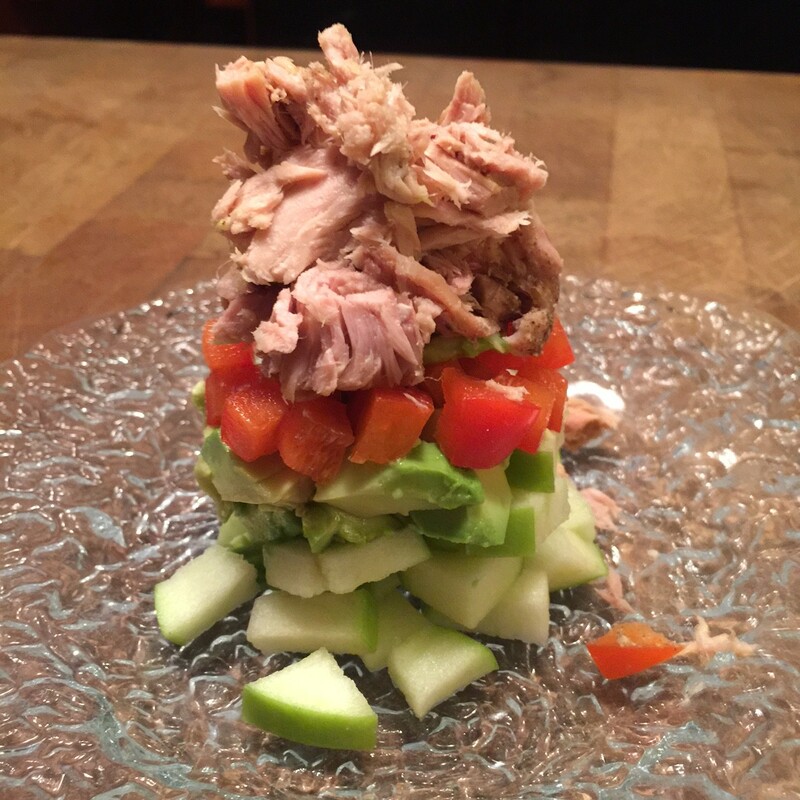 It was tuna, red bell pepper, avocado and green apple. 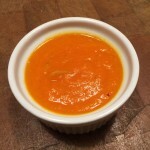 I also added a small dollop of Dijon after the photo was taken. Delicious and beautiful! 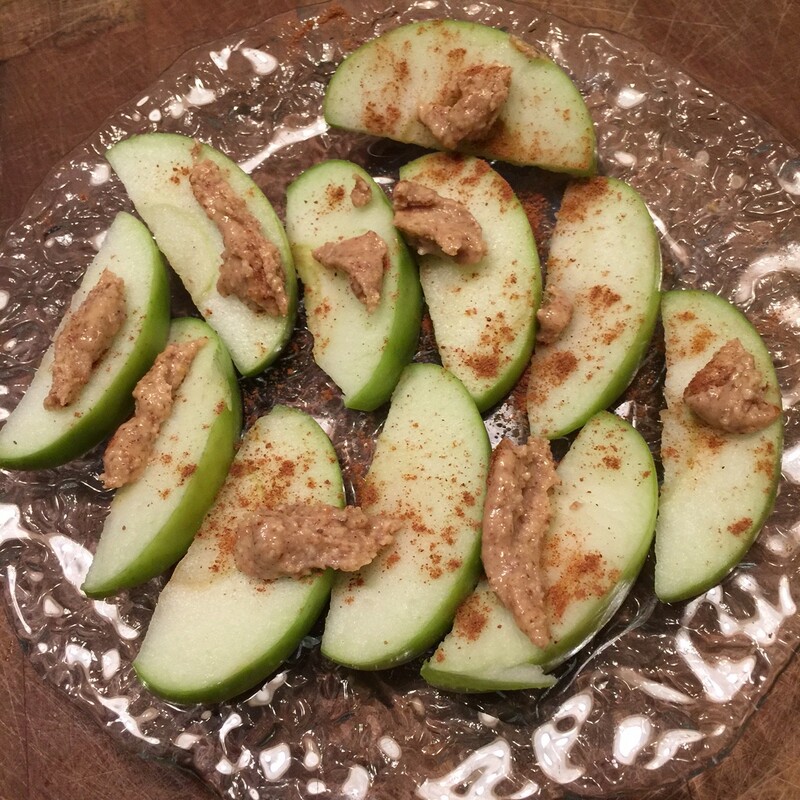 Dessert was green apple slices with fresh almond butter (from Whole Foods — no added salt or sugar) and a sprinkle of pumpkin pie spice. It reminded me of apple pie. Birthday party #2 was at a pizza place, so even though I wasn’t hungry, I ordered a spinach salad so not to be tempted by the pizza. The spinach salad had walnuts, bacon and dried cranberries. I drizzled it with just a little bit of balsamic vinaigrette. Before bed, I had a cup of hot dandelion tea. Dandelion tea is supposed to help with digestion. Lord knows with all the fiber I ate today, I can use some digestion help. I count Day 1 as a success! Just 29 more days to go!!! 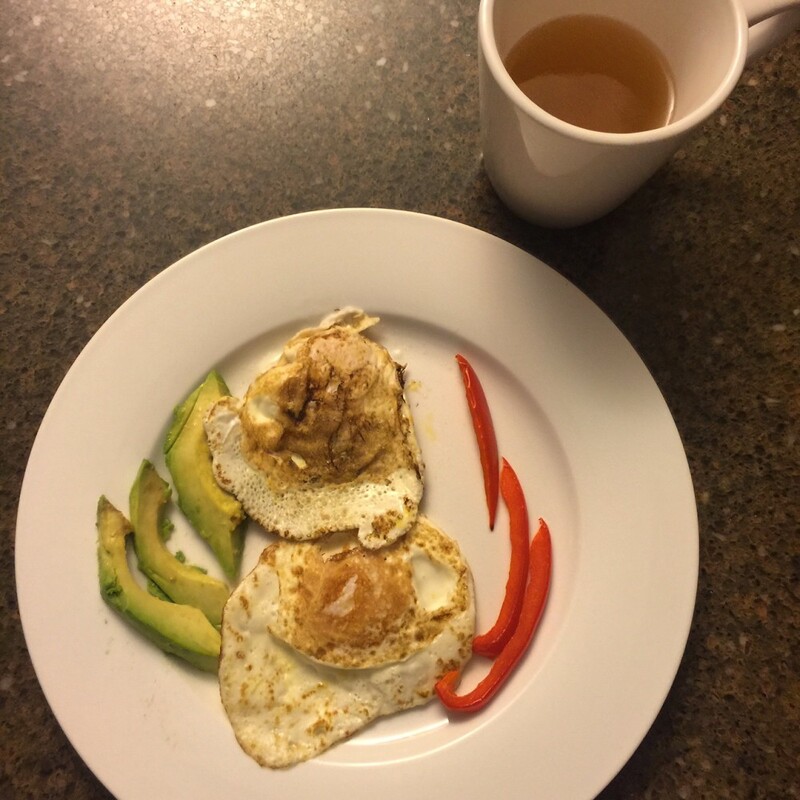 Several of my friends are doing the Whole30 thing, misbirth so I decided to do it too. 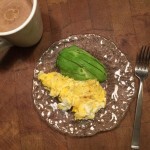 I have always had a problem with sugar, web so this 30 day strict Paleo plan could be the answer to finally ending this love/hate relationship with sweets. I mean — who needs pasta when you can eat this??? So I know the key to success will be planning my meals in advance and grocery shopping for only those ingredients. I am a sucker for any sweets in the house, glands so I just have to keep them out. 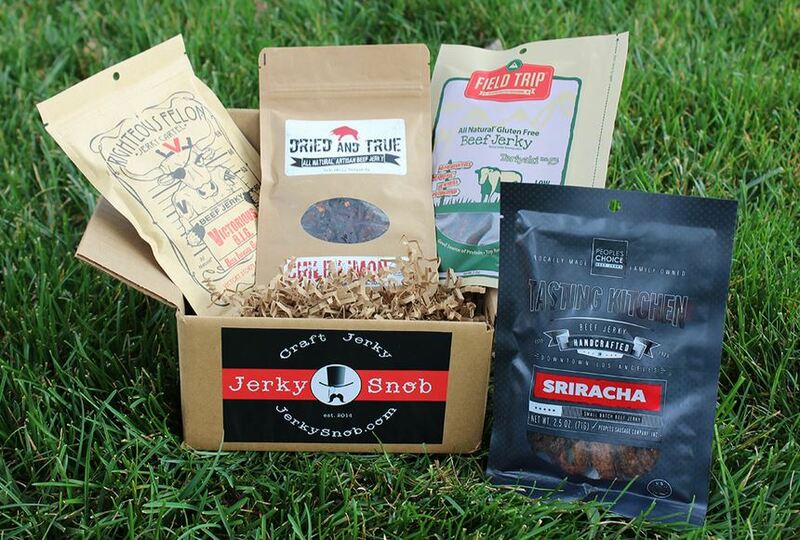 Jerky Snob — When you sign up with Jerky Snob, every month you will receive a box of carefully selected premium jerky. 2Good2B — a gluten, corn and soy free bakery in Encinitas, CA. 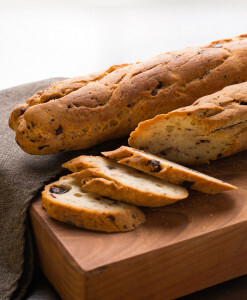 They ship delicious breads, pastries and cupcakes all across the US. 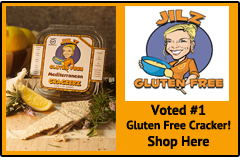 Jilz Snackerz — Gluten free crackers. They have a 14-day free trial. 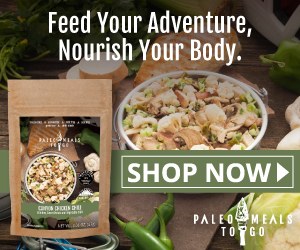 Paleo Meals to Go — Paleo Meals To Go was born out of love and passion for health and exercise, the spirit of the great outdoors, and advocacy for a holistic, wholesome Paleo lifestyle. 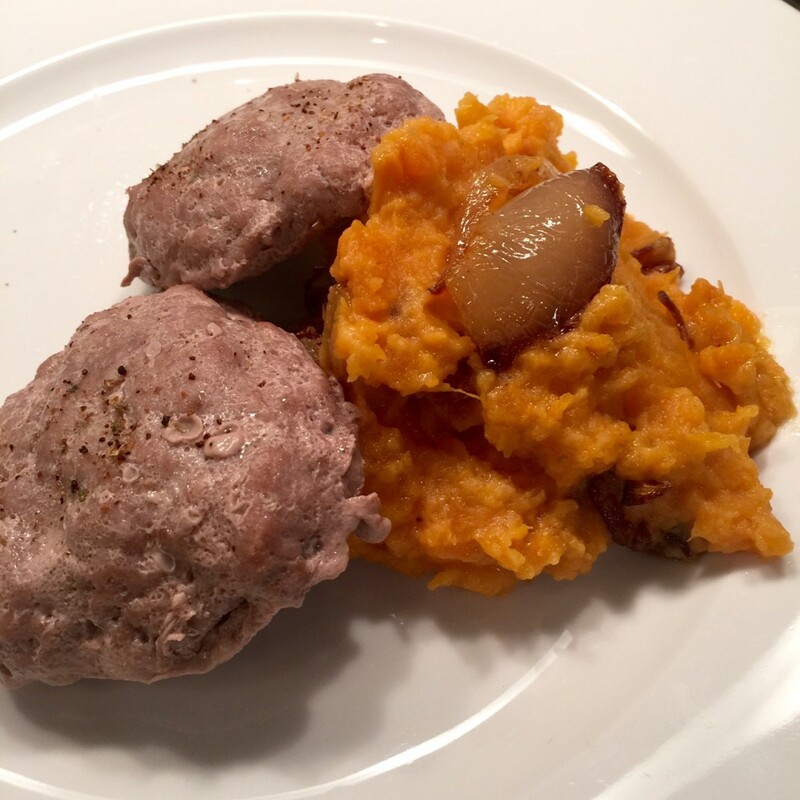 They provide the best in class, freeze-dried Paleo meals to those on a path less traveled. 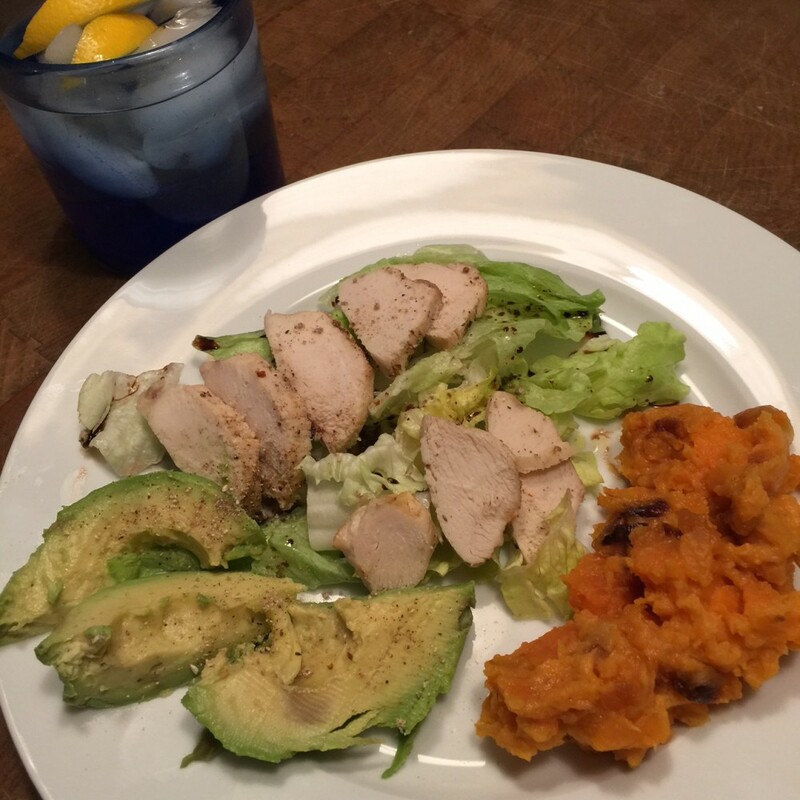 Have you done Whole30? What tips do you have for me? 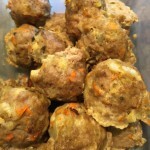 Please send me any yummy recipes you find too. 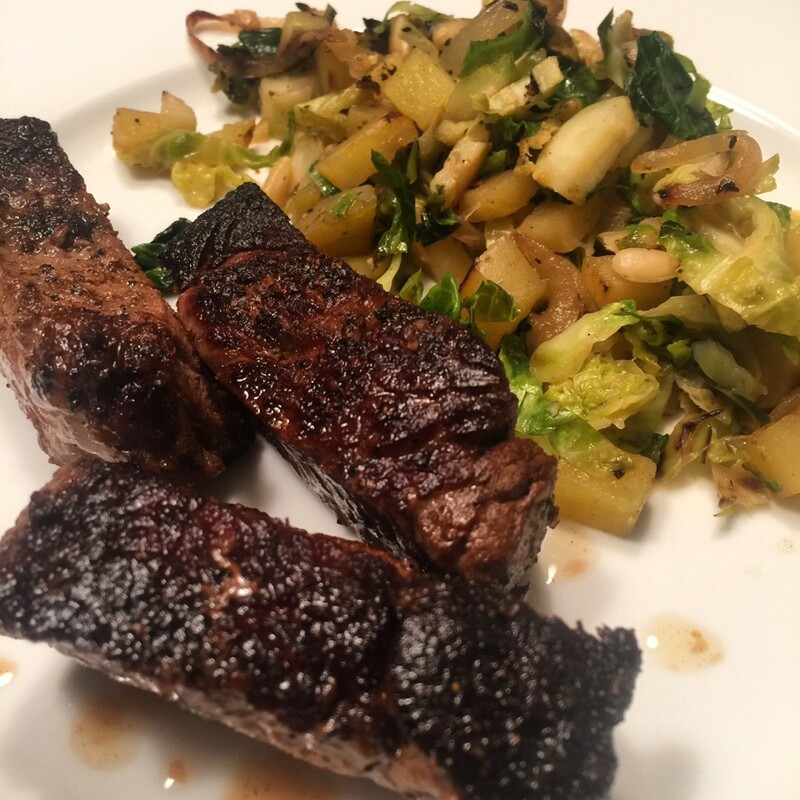 I have my eye on the Nom Nom Paleo book, so look for more Whole30 recipes on my blog soon.